The Seamaster 600 is undoubtedly the most recognisable watch ever made by Omega. 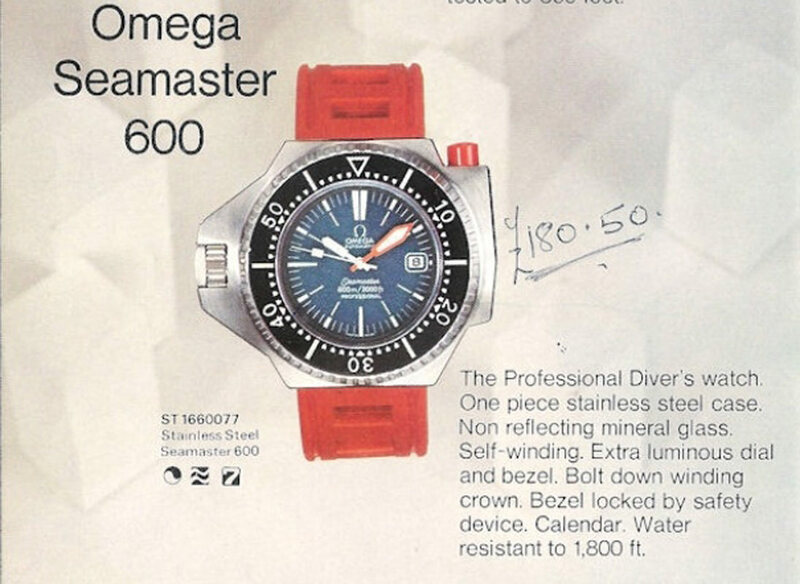 Its complex design history has given rise to an often quoted but inaccurate timeline perpetuated by reference books which have unfortunately been relied upon to the detriment of collectors. 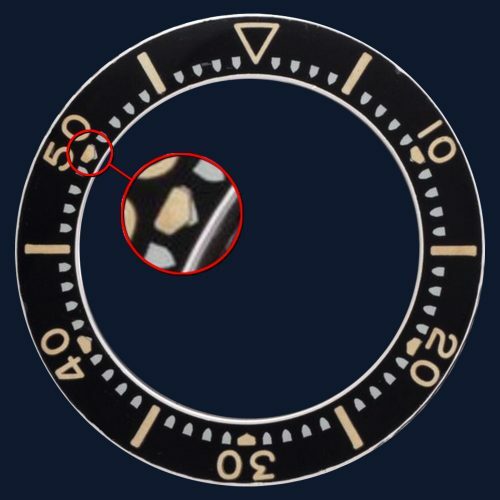 The objective of this short guide is to assist the collector in correctly understanding the main points in identifying this watch in all its variations. 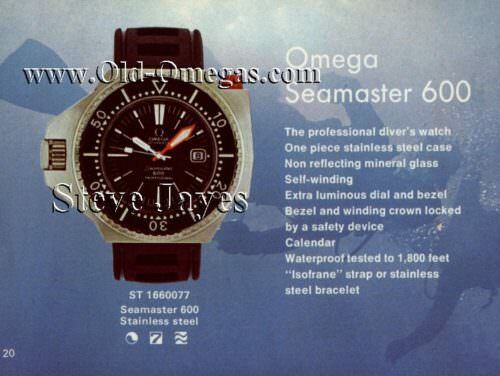 The Guide does not go into all the detail amassed by the author in researching this model. 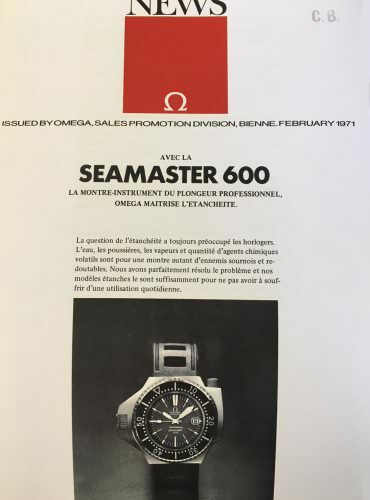 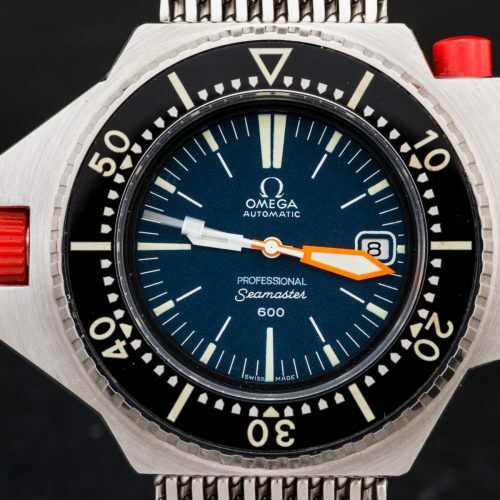 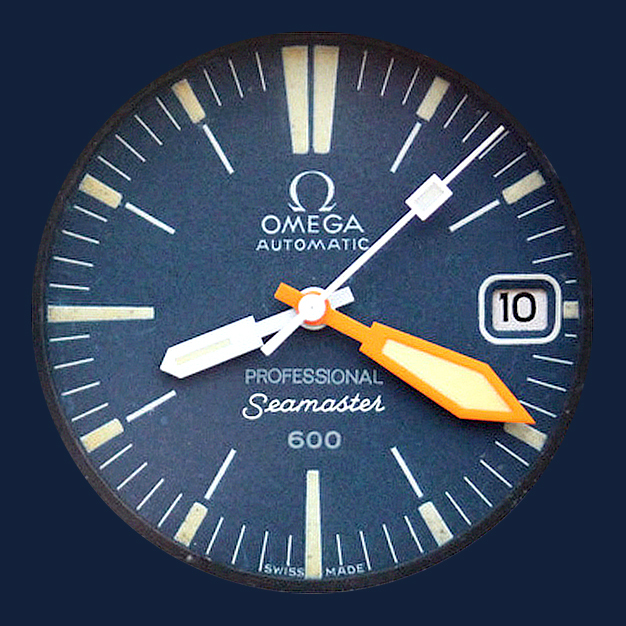 ‘The Omega Ploprof’ is an inappropriate title for the Seamaster 600 arising out of an error repeated in an earlier reference book. 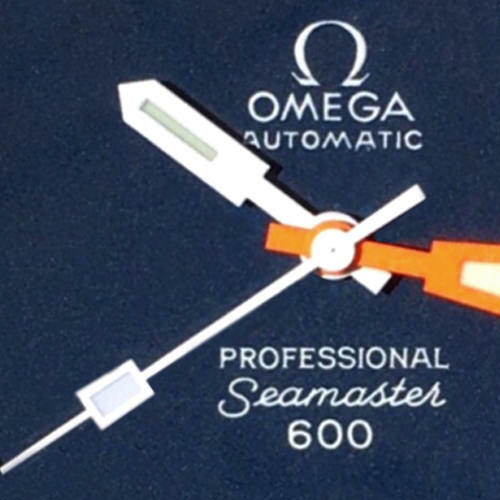 Ploprof applies to both the Seamaster 600 and the Seamaster 1000 watches but less than rigorous research failed to notice the distinctions as a consequence the true timelines were lost. Petros Protopapas the esteemed head of Omega Heritage has done a wonderful job of collating the Ploprofs and the Comex story, which will be published in due course, in which the Ploprofs will be more properly understood in the context of divers watches and their history. In order to correct the previously invalid chronology of the watches, it was necessary to seek independent verification of what the watches looked like at the production stage. With this particular model given the rate of attrition, and the more than average frequency of swapping of movements, dials, bezels and even cases it became vitally important to reference independent, reliable documentation. 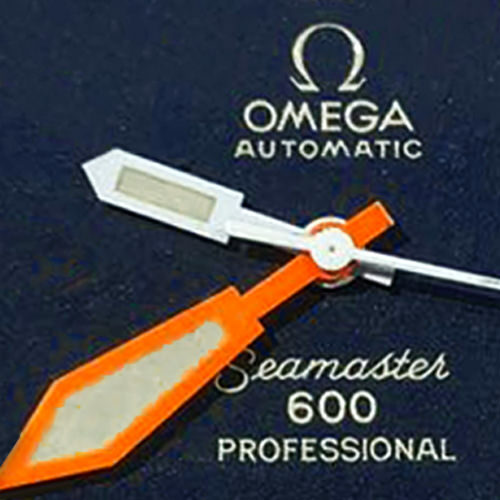 A cursory examination of Seamaster 600s that were photographed and went for service at Omega Bienne shows that over 60% have suffered a movement swap. 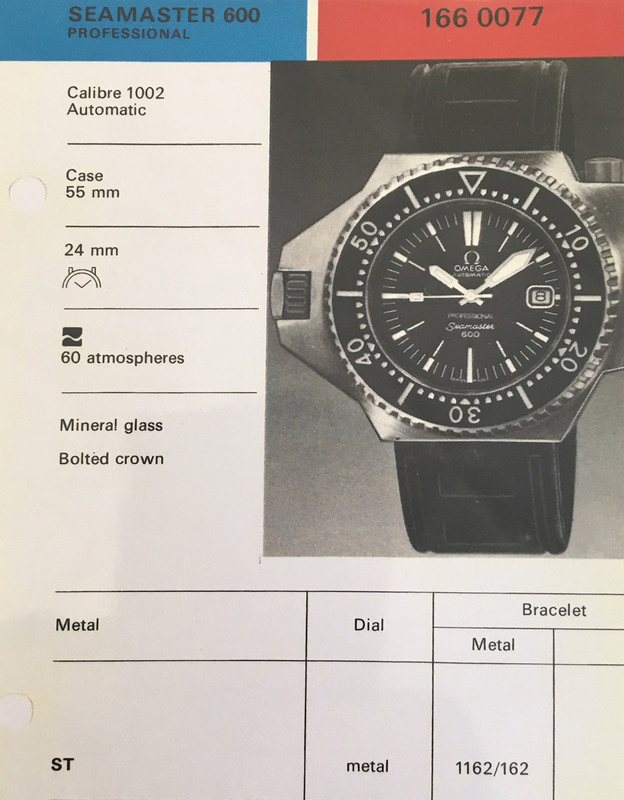 So for the purposes of confirmation, the Author has included internal documentation held in the Omega archives detailing the watches original built specification and subsequent configurations. 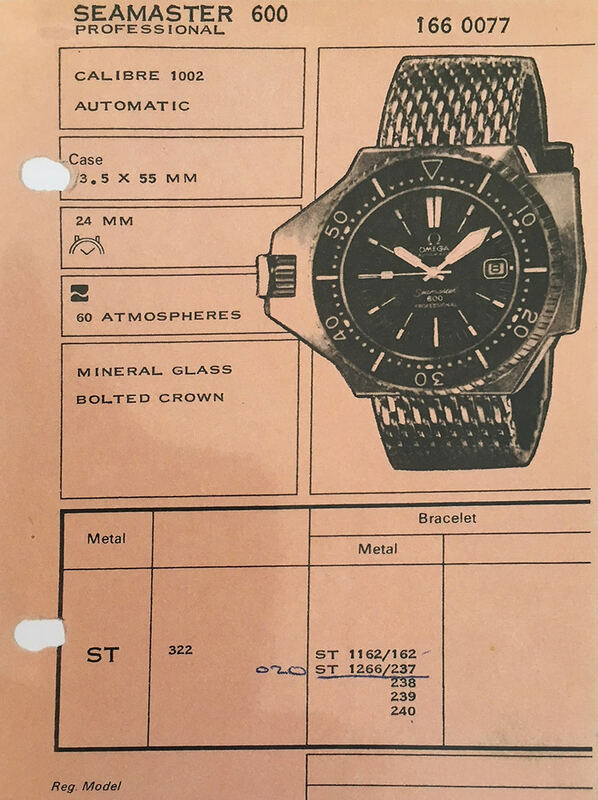 Original registered design patent for the MARK 1 watch, 1st edition retail. Omega archives: Press release issued in February 1971 announcing the arrival of the MARK 1 1st edition watch shown on the isofrane strap with the red plastic lock nut. 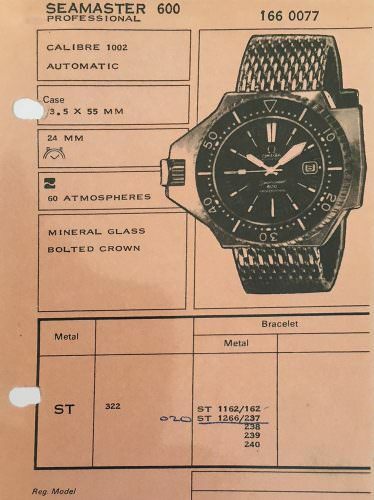 One of the first printed catalogues specific for the US market dated February 1971 showing the watch to be available for order and delivery from April 1971. 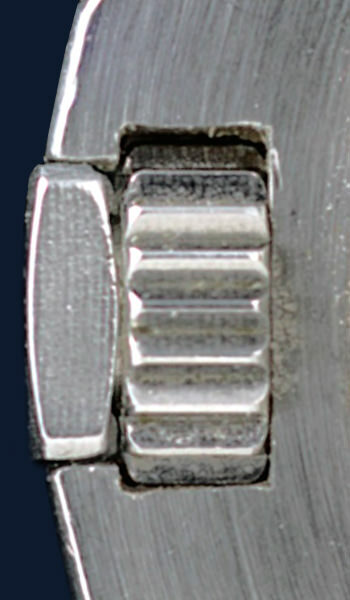 Note this is the MARK 1 watch, 2nd edition with the steel replacement lock nut. Because of a lack of rigorous research in this model, the important connections between the Seamaster 600 (Ploprof 0) and the Seamaster 1000 (Ploprof 1) have been ignored. 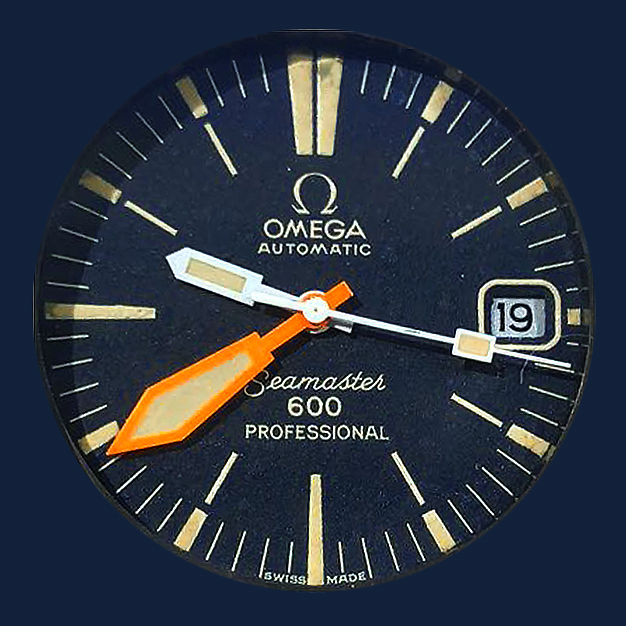 In 1972 both watches were available with identical dials, identical hands, identical bezel designs and identical calibre movements. 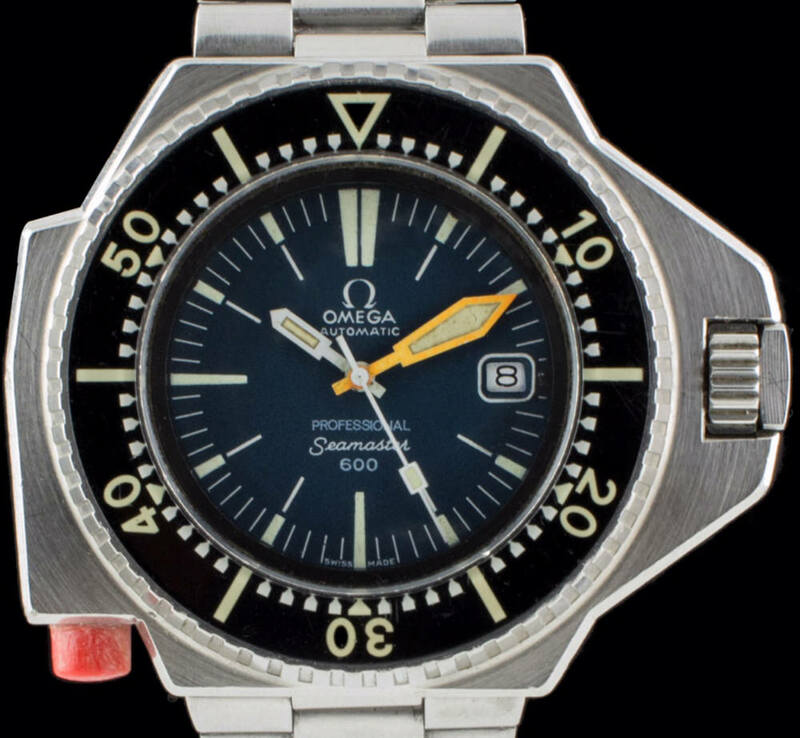 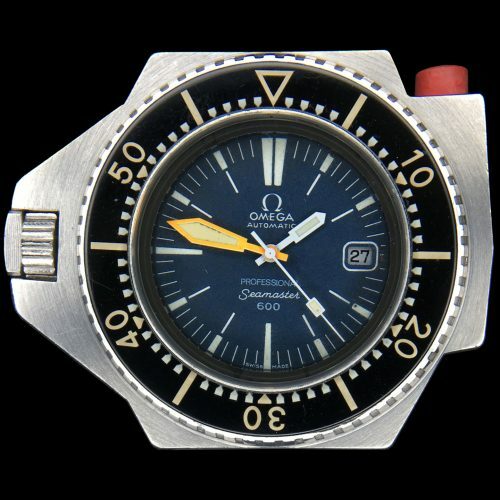 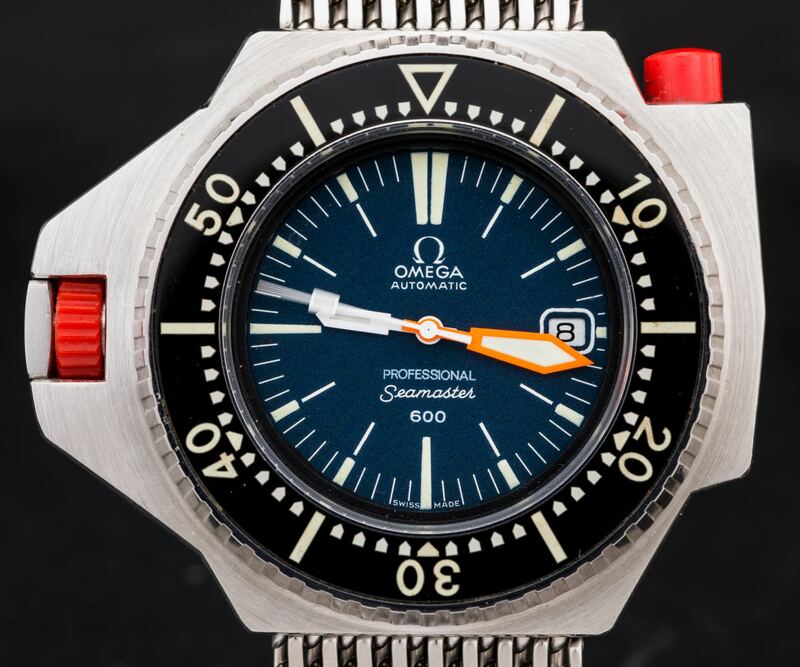 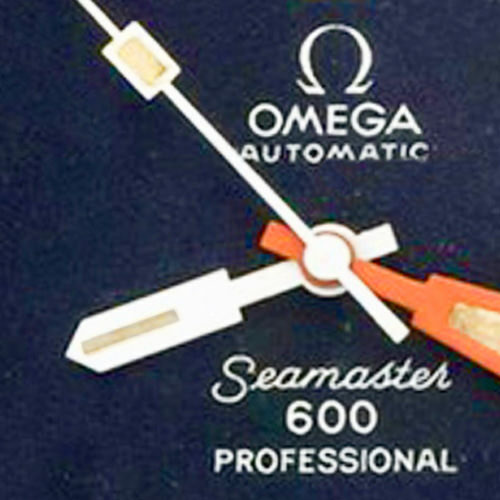 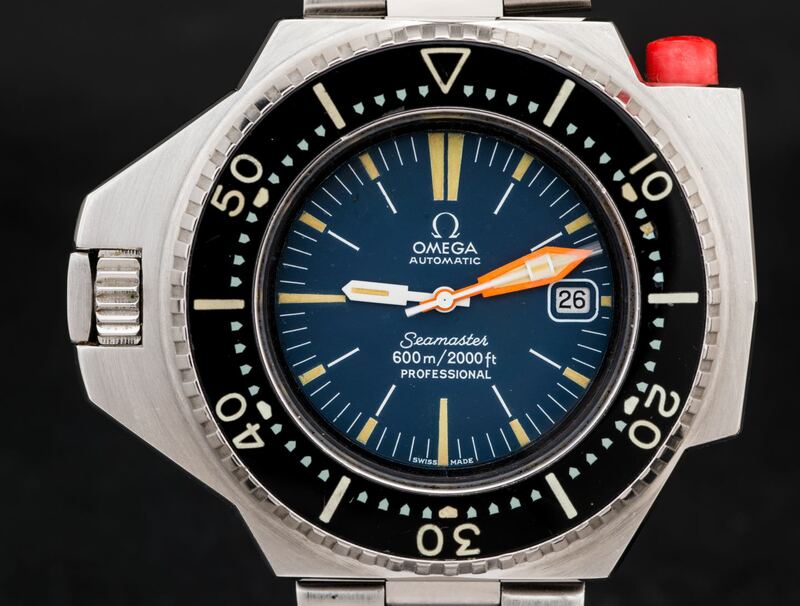 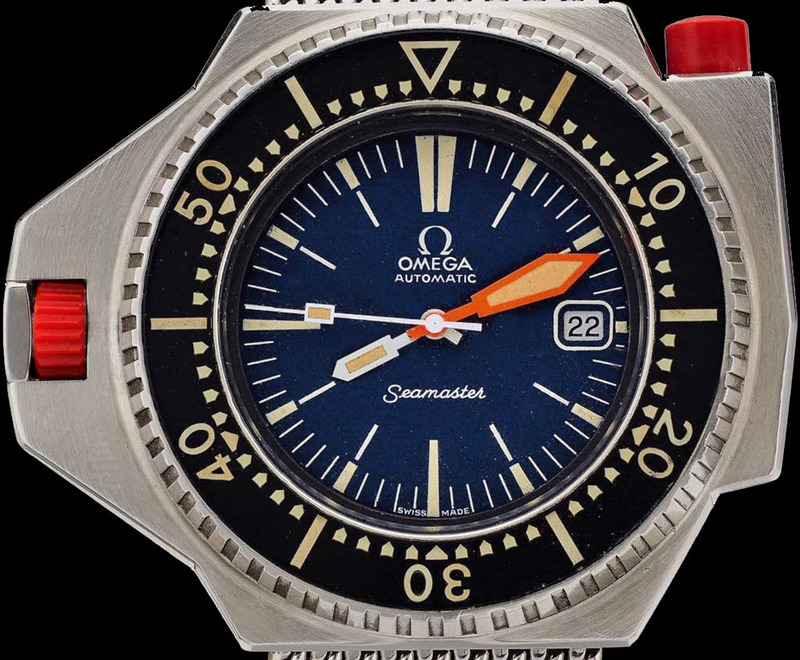 The Seamaster 1000 of this period is extremely rare and for more information collectors should refer to www.omegaseamaster1000.com. 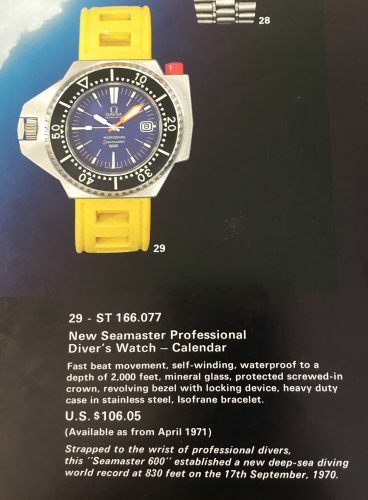 In the late 1960s underwater exploration, off-shore oil constructions and maintenance, as well as applications such as scuba diving, water sports, and sub-aqua military and naval special forces, saw an increase in demand for underwater watches. 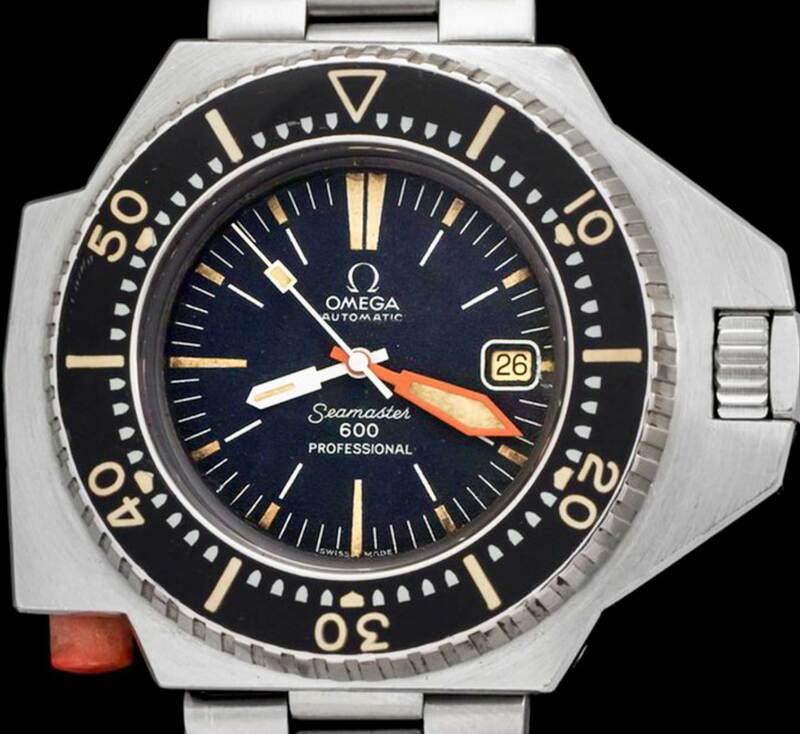 The number of employees of underwater contractors at the time exceeded 3000 of which a 1500 were commercial divers. 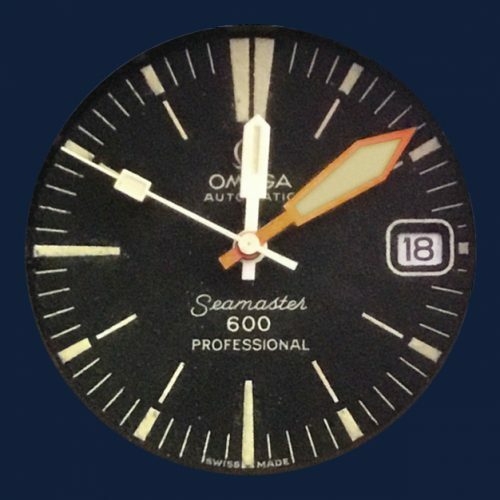 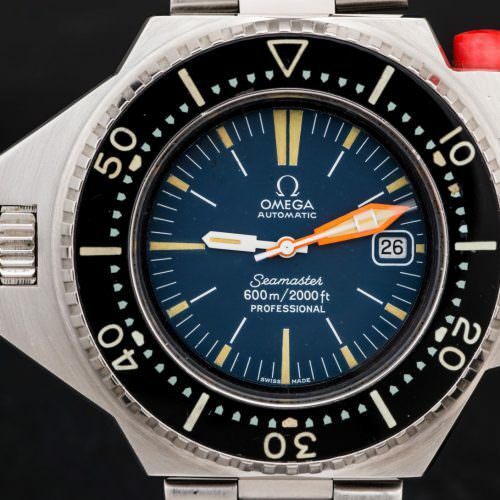 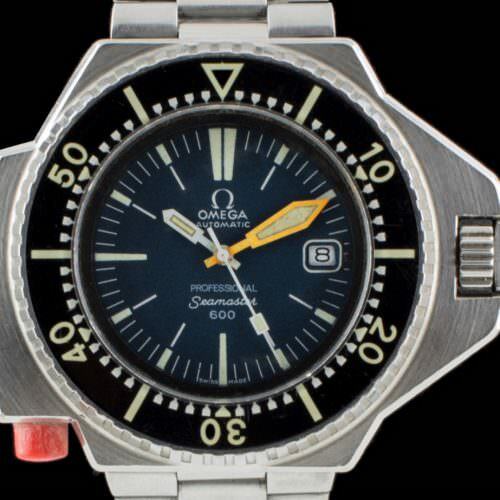 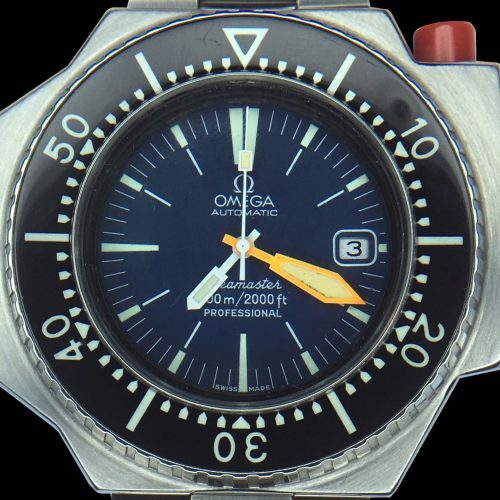 So the demand for a robust, waterproof, legible, reliable and high-depth rated watch caused the development by Omega of the unmistakable Seamaster 600 debuting at the 1969 Basel Show and being issued for retail sale in April 1971. Despite it being a superb professional divers watch it also had a big following in the retail market. 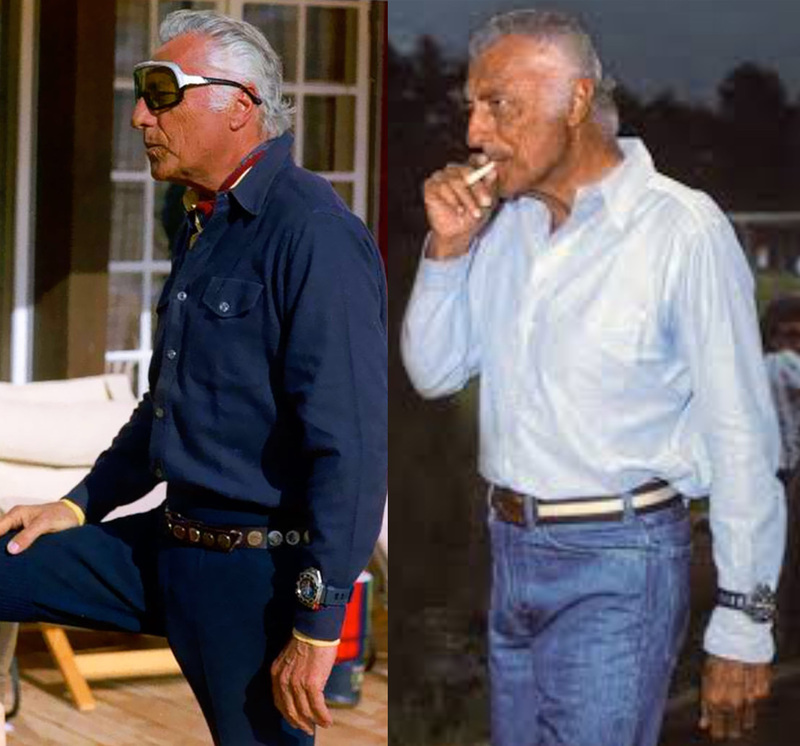 Gianni Agnelli, the chairman of Ferrari and Fiat and one of the most prominent public figures in Italy had an allergy to the metals used in watch cases. 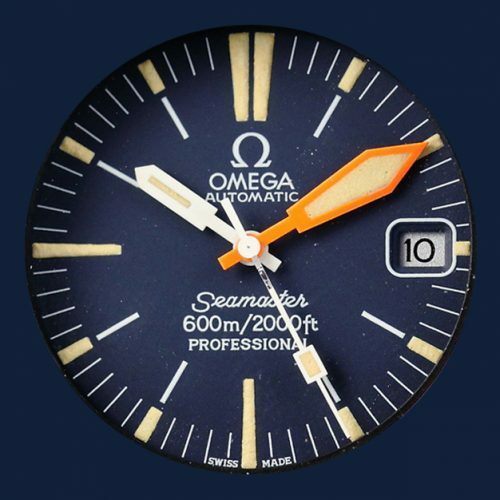 This led him to wear his Seamaster 600 on the outside of his cuff and this idiosyncratic display enhanced the watches visibility and hugely boosted demand. 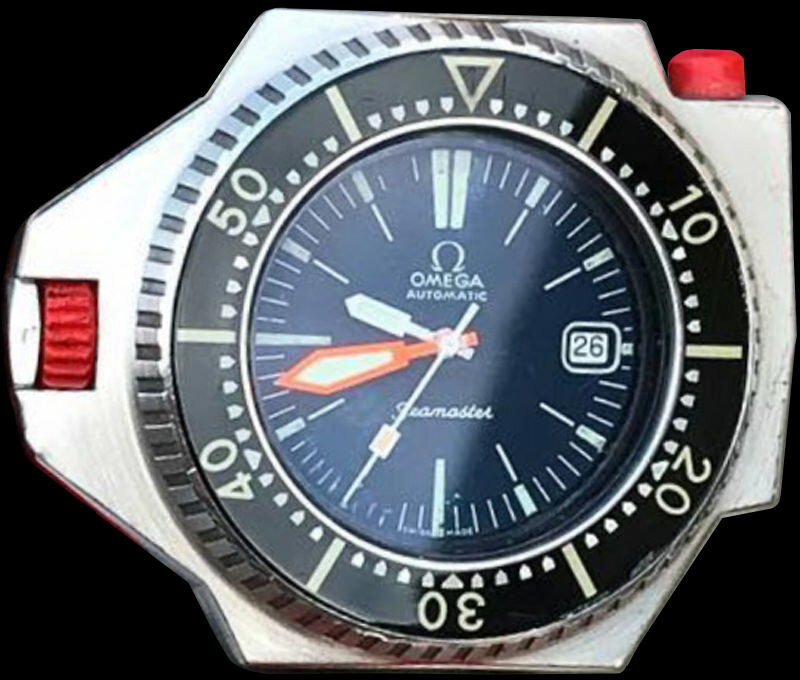 Prototype with red plastic crown lock nut, never issued for retail. 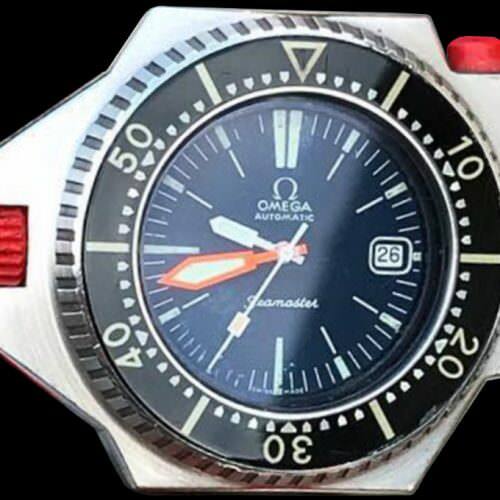 A prototype for the MARK 1, 2nd edition with a painted red steel nut as opposed to plastic, this was never adopted. 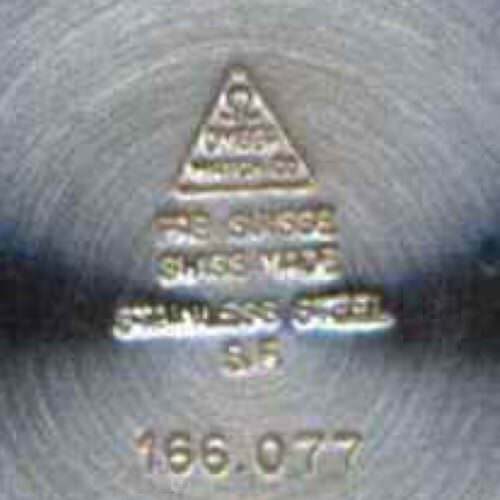 A COMEX prototype sold in 2016 for over £75,000. 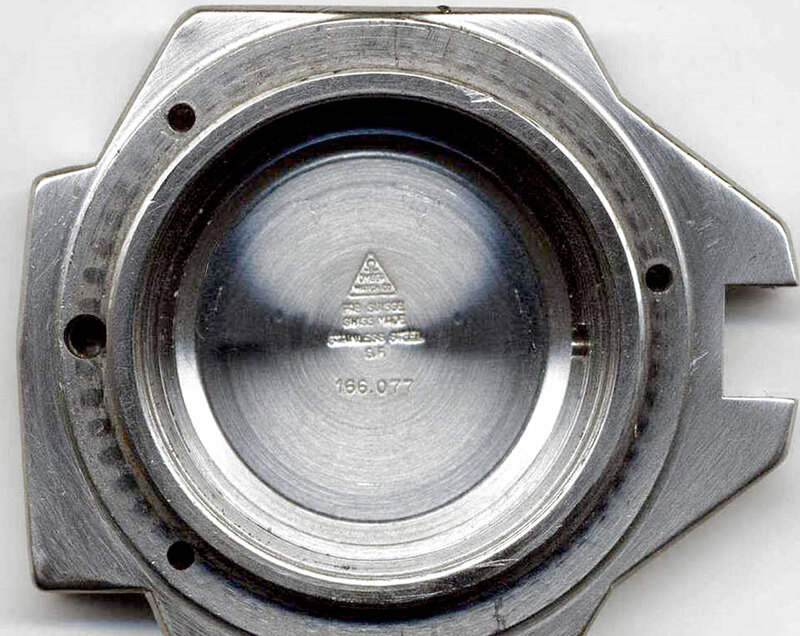 ‘1’ with serif, round top 3, thicker print, triangle shaped 10 minute point markers. 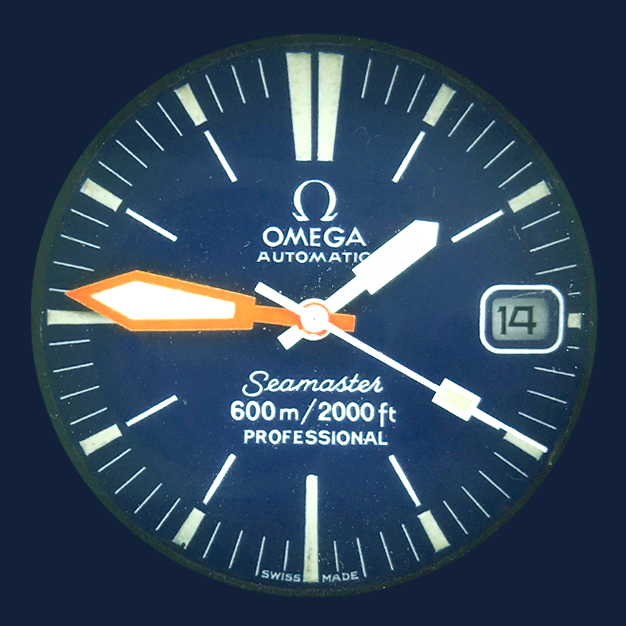 No serif 1, flat top 3, pentagon shaped 10 minute point markers. 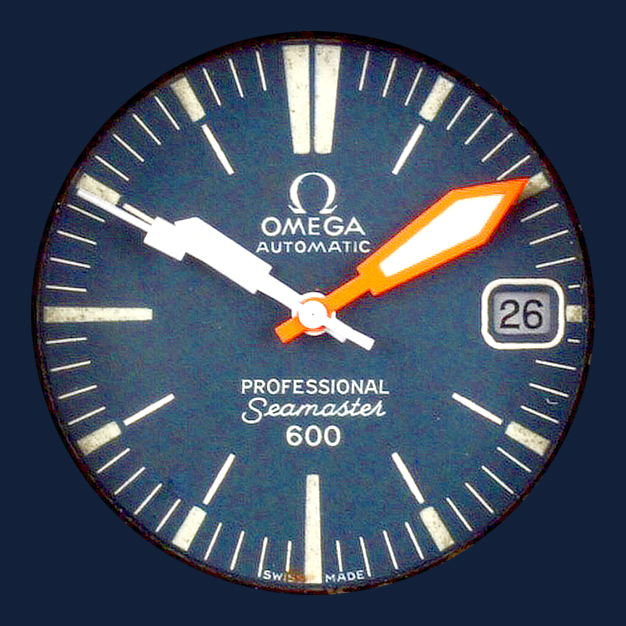 This can also be seen with slightly heavier print. 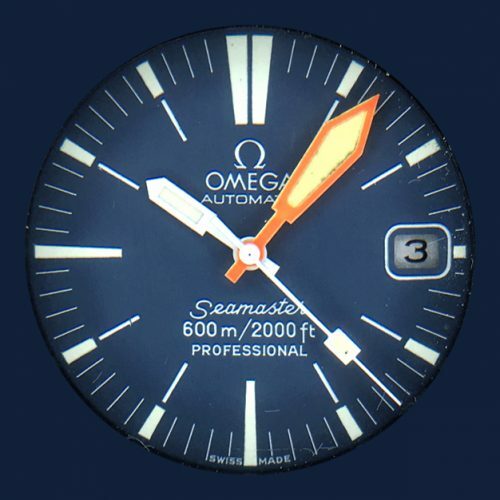 Reprint bezel, but printed very heavily with the 20 30 and 40 touching the minute markers. 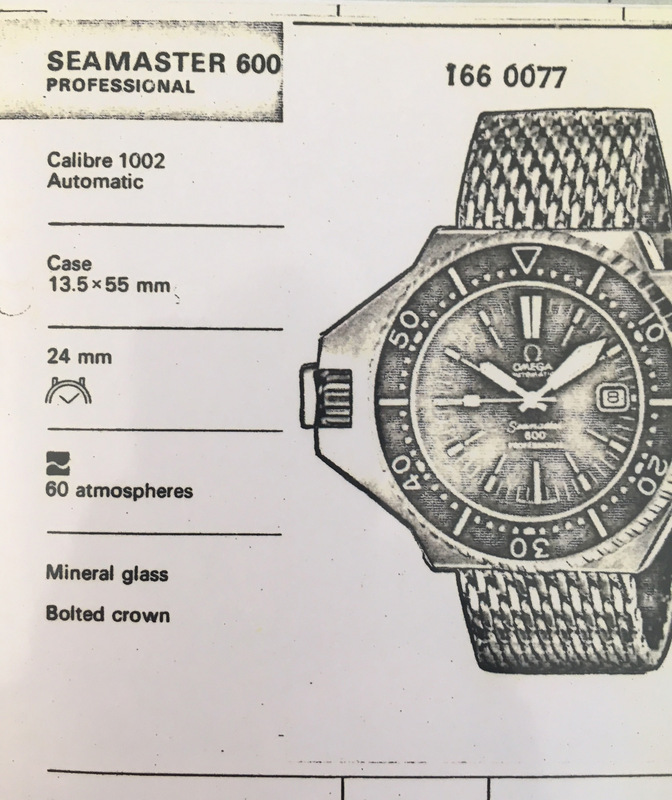 Heavily overprinted, seen on later edition watches. 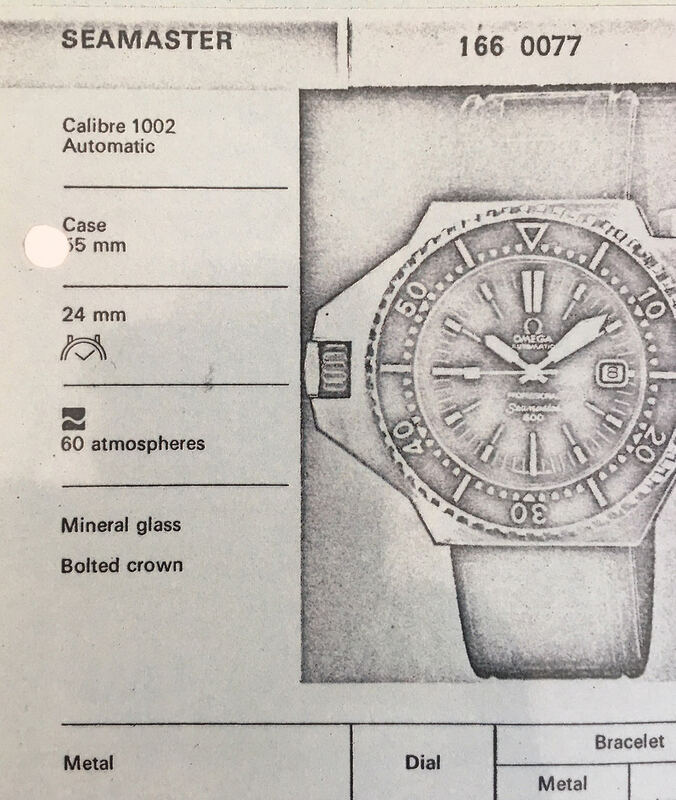 Prototype case, in-pressed stamp marking, right hand crown. 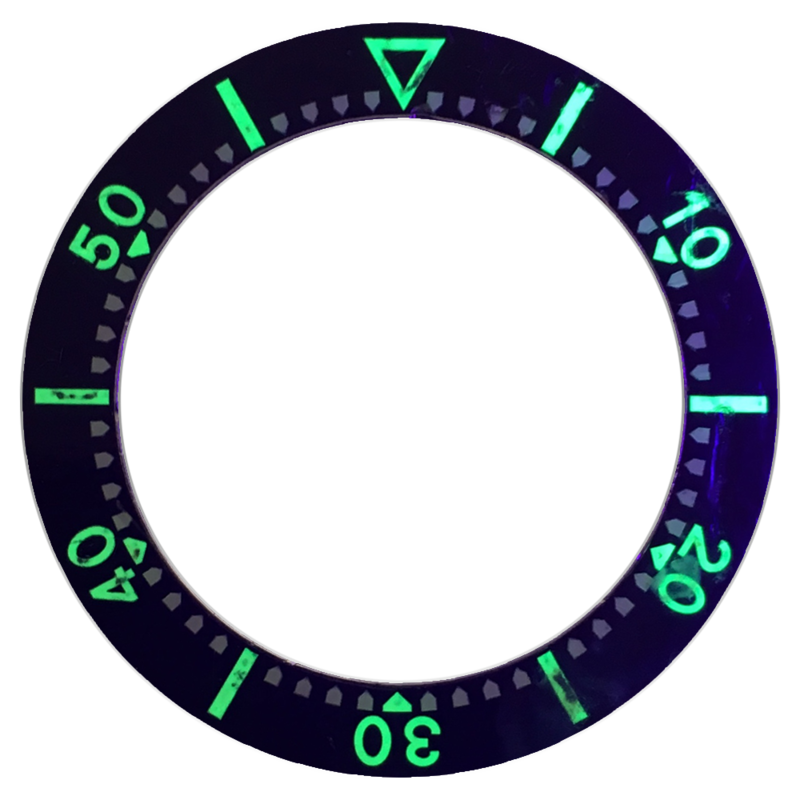 The ‘C’ shaped cutout case is rarely seen throughout the range but is never on the MARK 1 1st edition watches. 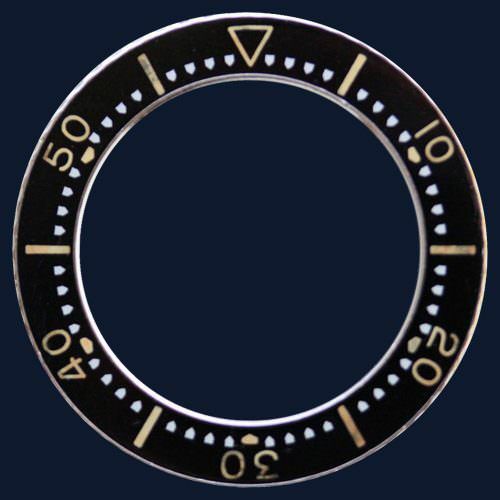 The original lock nuts were steel, however professional divers never bothered to clean their watches in fresh water after work and mud, silt and salt residue was thought to build up on the threads of the lock nut and thereby impede its ability to be unscrewed. 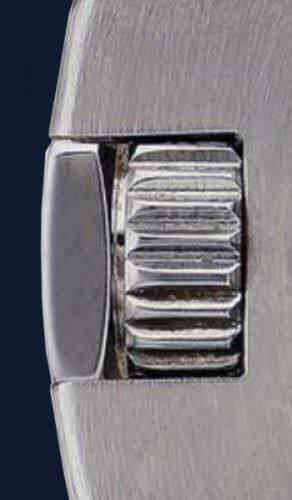 So the engineers devised a plastic nut to take it’s place. 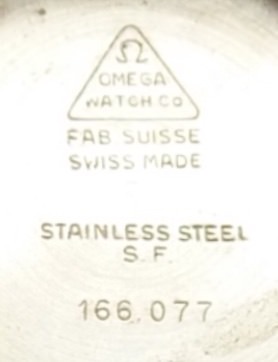 This was too easy to cross-thread and so after a short period in the retail market they reverted back to steel. 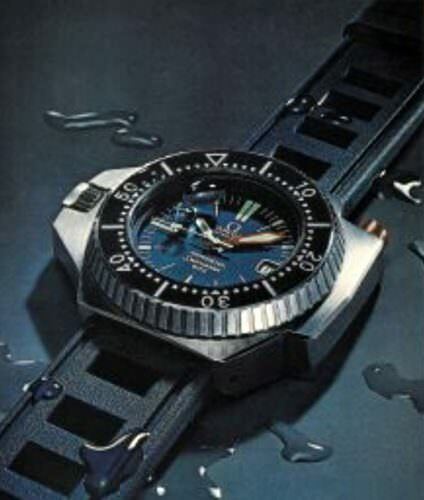 First, it must be stated that there is no evidence that Jacques Cousteau was involved in the design of this watch. 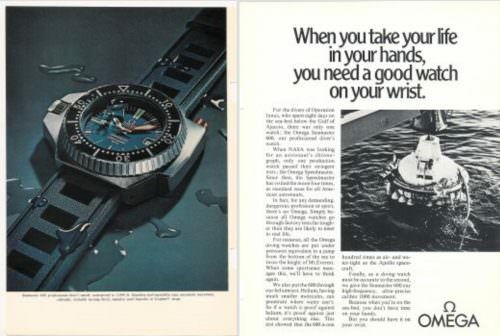 Secondly, the watch did not hit the retail market until April 1971, not 1970. 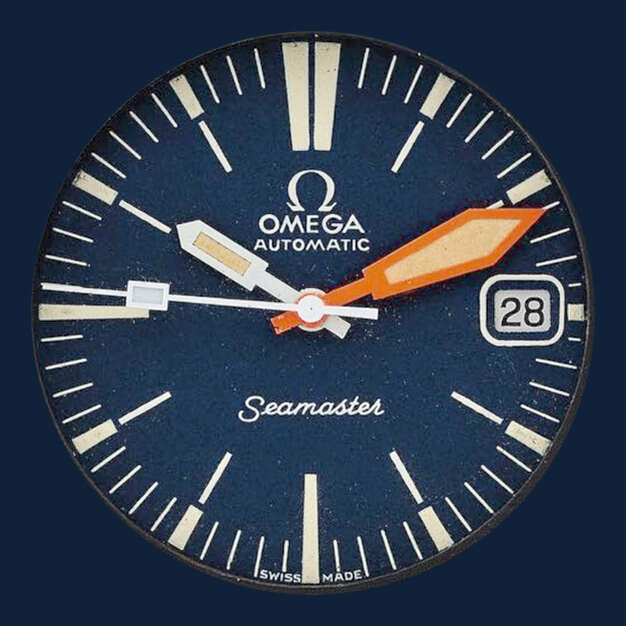 The watch was designed to meet the requirements of the sub aqua market and was put forward in prototype form along with the Seamaster 1000 to the biggest underwater contractor at that time COMEX for their input. 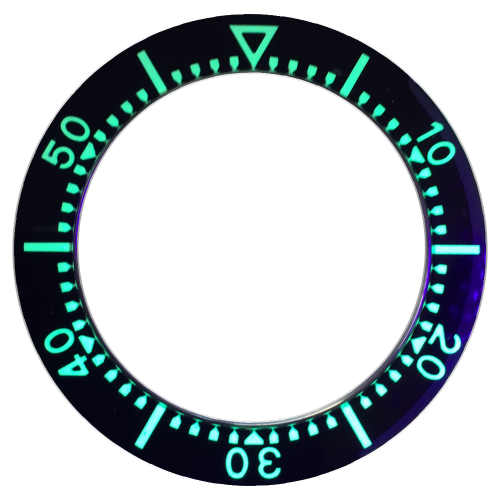 In the course of those trials, COMEX requested a darker blue dial to increase the contrast ratios and hence dial D3 was born with much higher colour saturation. 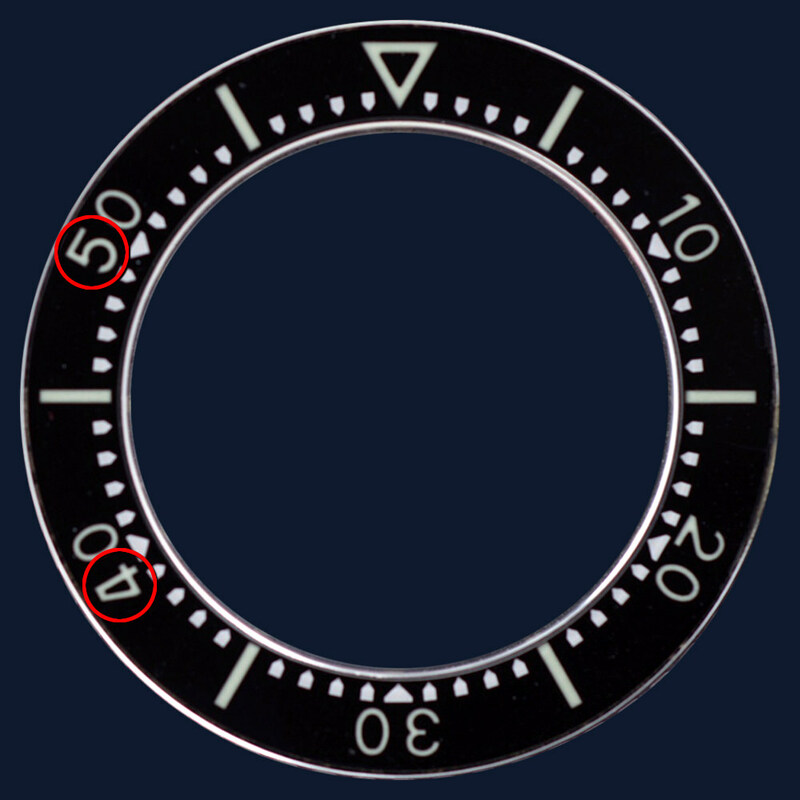 This additional pigment is believed to have contributed to the much higher rate of corrosion seen on these dials and thus dial D3 was regularly swapped out at service with the more impermeable dial D2 hence accounting for the appearance of the D2 dial on much later watches thus creating the invalid assumptions made about the timeline of the dial. Because of a titling mistake in the so called reference book for this watch, it was held out as being called the “Ploprof”, when in fact it was the 2nd of two ploprofs, the 1st being the 1000, a mistake which blurred the true history of this watch. This is undoubtedly the most distinctive feature of the watch and the most misunderstood. 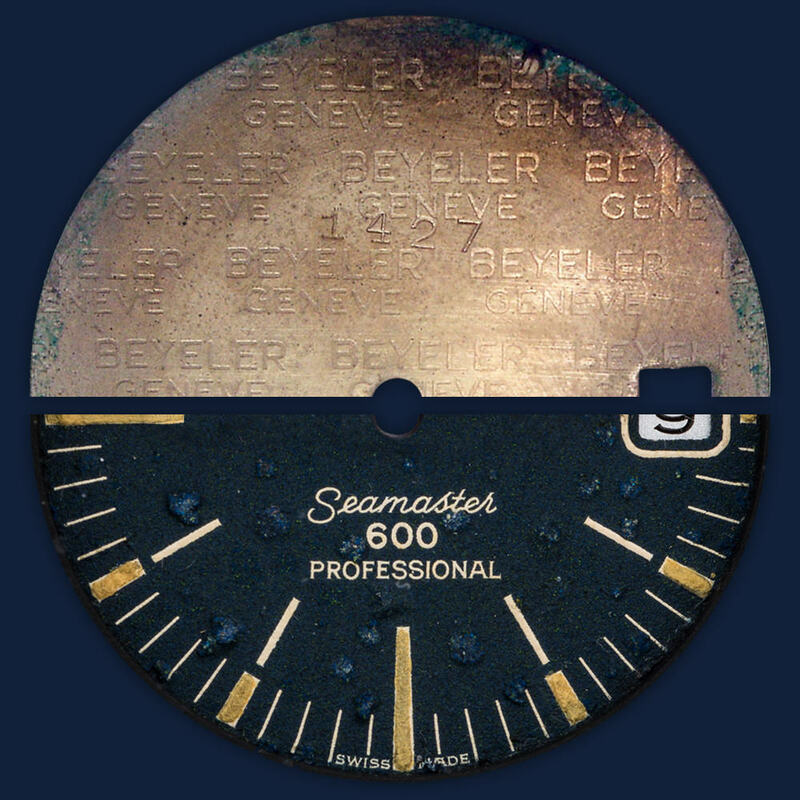 These dials were made by Beyeler and were part number 1427. In addition to the blue dials there is a batch of the D3 dials which are undoubtedly black and although there is no official explanation of this, there is reference to black dials in the archives. 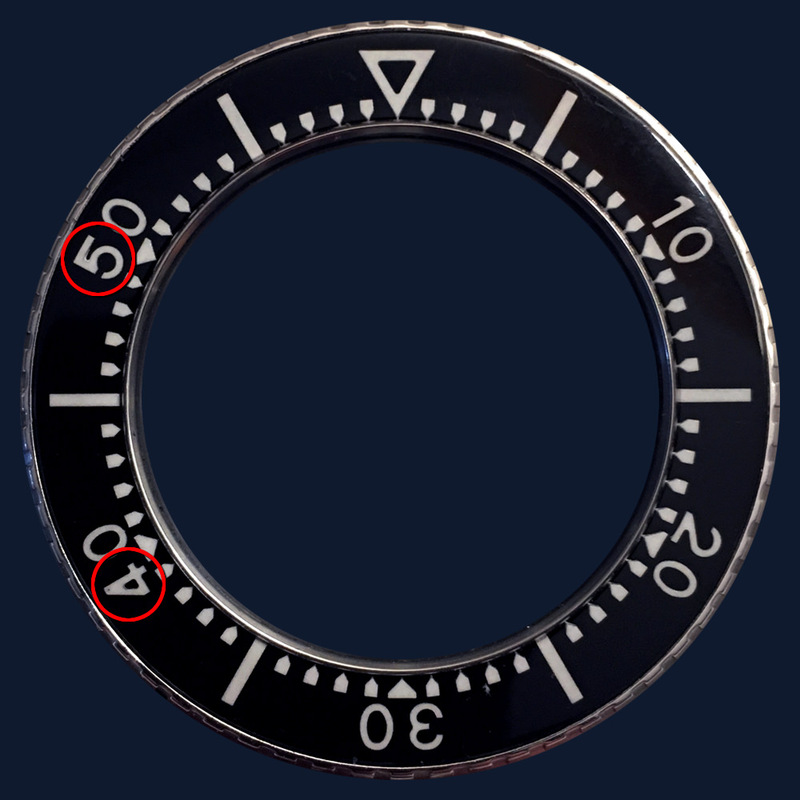 An example of the black dial is included below. Further investigation into the black dial issue appears to show that the black dial was a very short run order where the lettering is significantly finer as can be seen in close-up below. 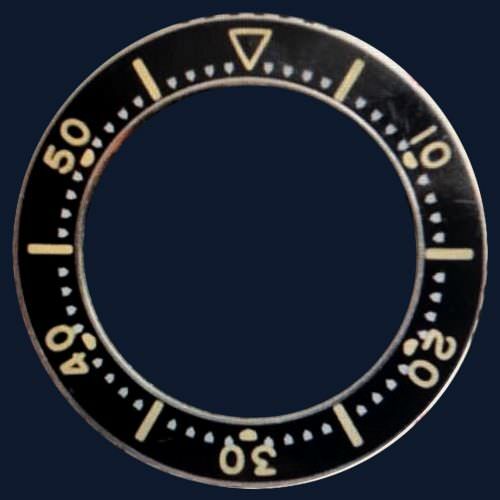 This run is sometimes seen in late 1971 / early 1972 and is often used as a replacement on watches which were originally single line Dial D Zeros and it is understood that these dials were recalled for overprint to create Dial D1. 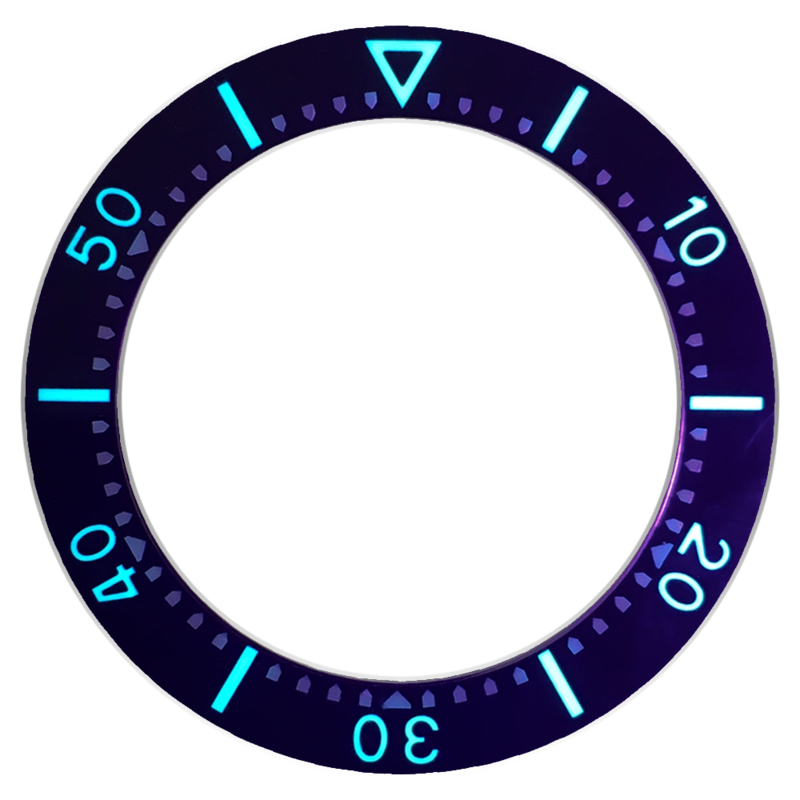 Service dial with tritium markers. 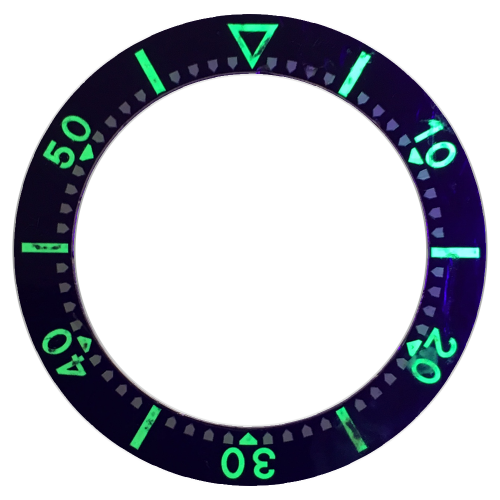 Note the lume touches the date window. 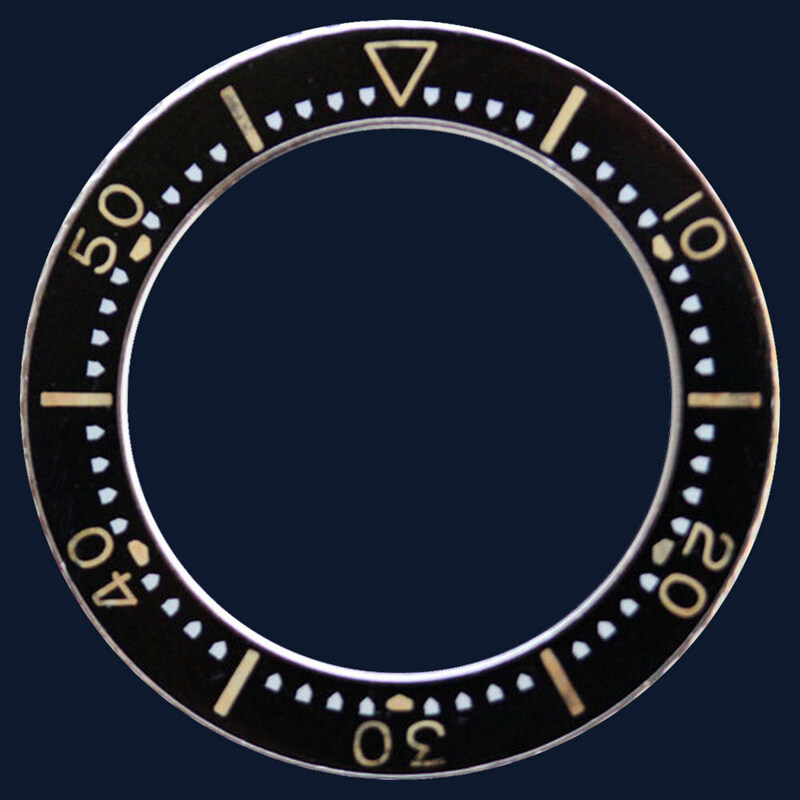 D2 dial front and back composition. 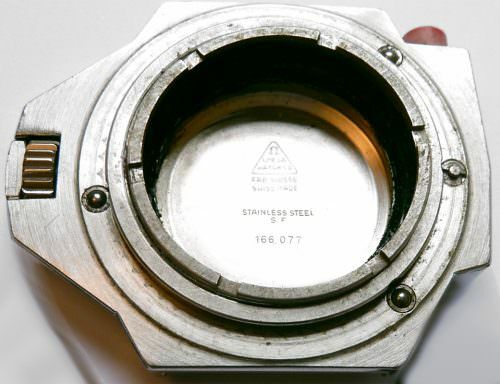 Front showing blistering as a result of using the new heavier pigment. Back top-edge of the Beyeler-made (part no. 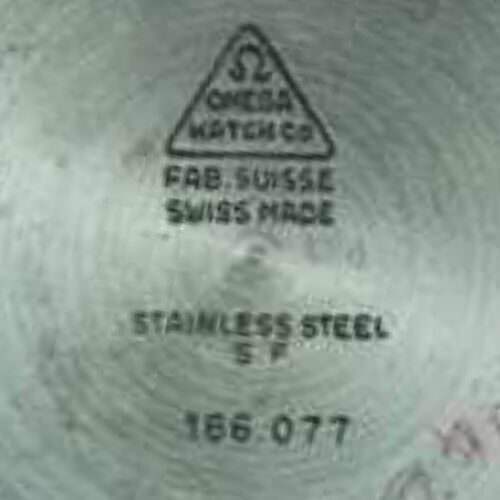 1427) dial showing the beginning of chemical corrosion. 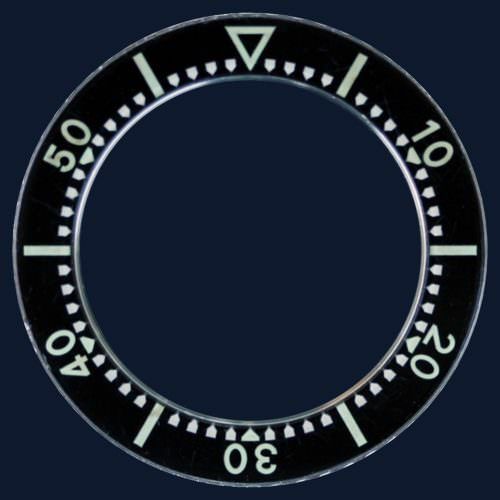 The hands were of the plongeur style and the hour hand had four variations. 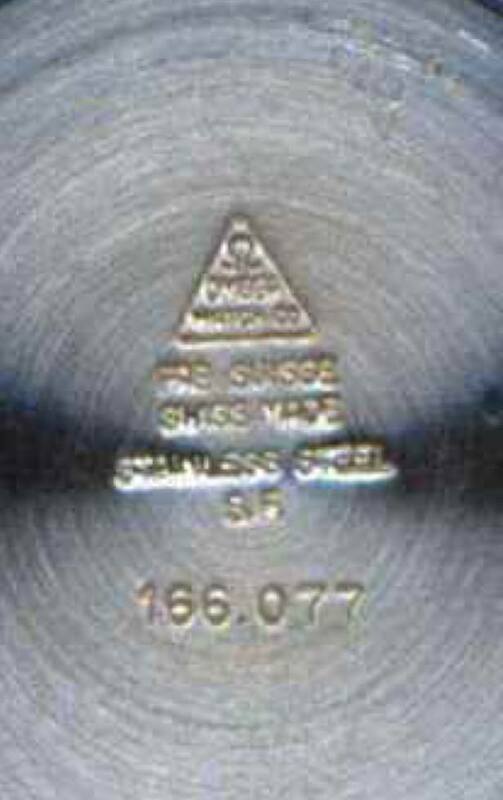 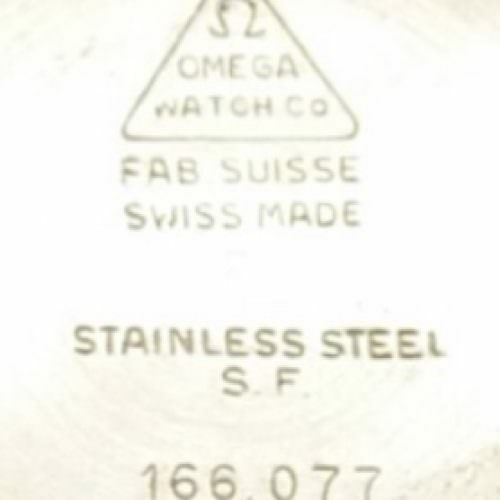 An optional extra was a steel bracelet 1162 with 162 end links. From 1975 onwards along with the Seamaster 1000 it was offered on the shark mesh bracelet in 24mm. 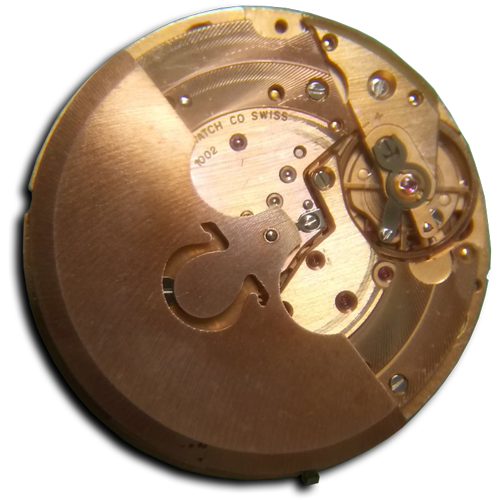 Prototypes are often seen with the 1000 calibre movement but in later iterations and with the retail watches the 1002 movement was standard. 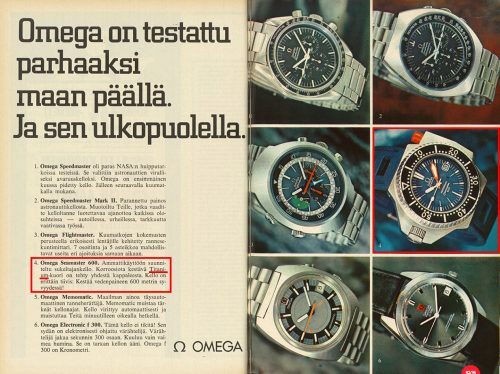 This was an enormously robust movement. 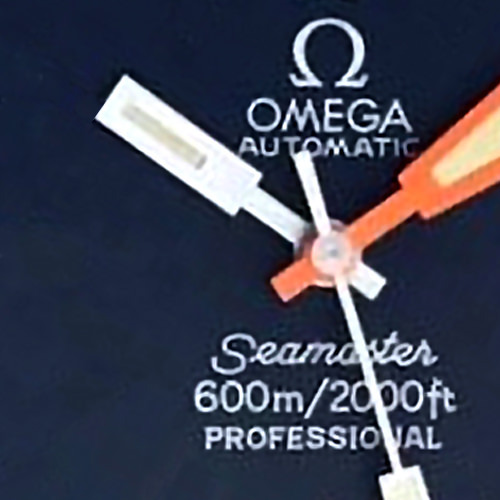 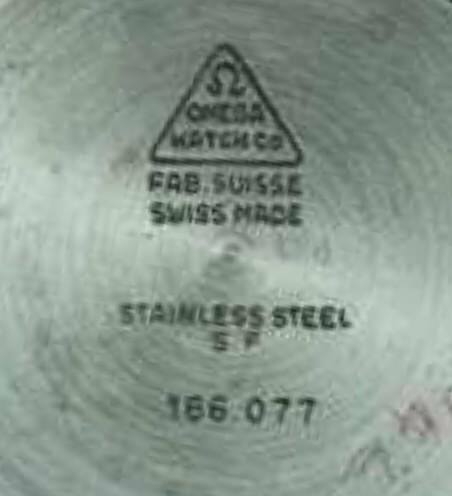 Probably one of the very last movements exclusively designed by Omega and it was a high beat 28800vph with instantaneous date change at midnight and first issued in 1968. 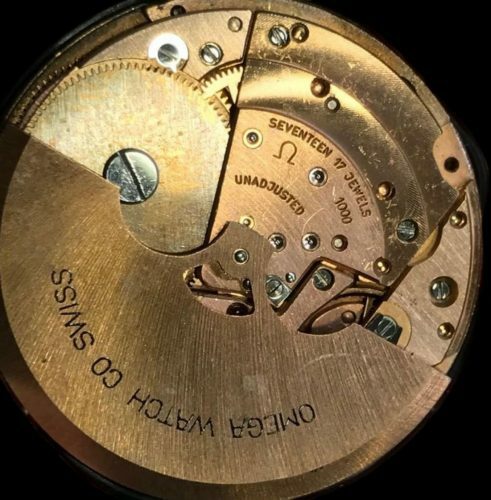 This was a very common movement with over 370,000 made but it experienced occasional longevity problems. 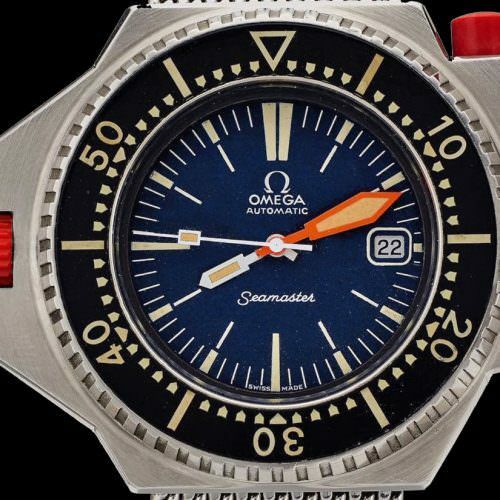 So when a watch was presented for service a movement was swapped out in its entirety. 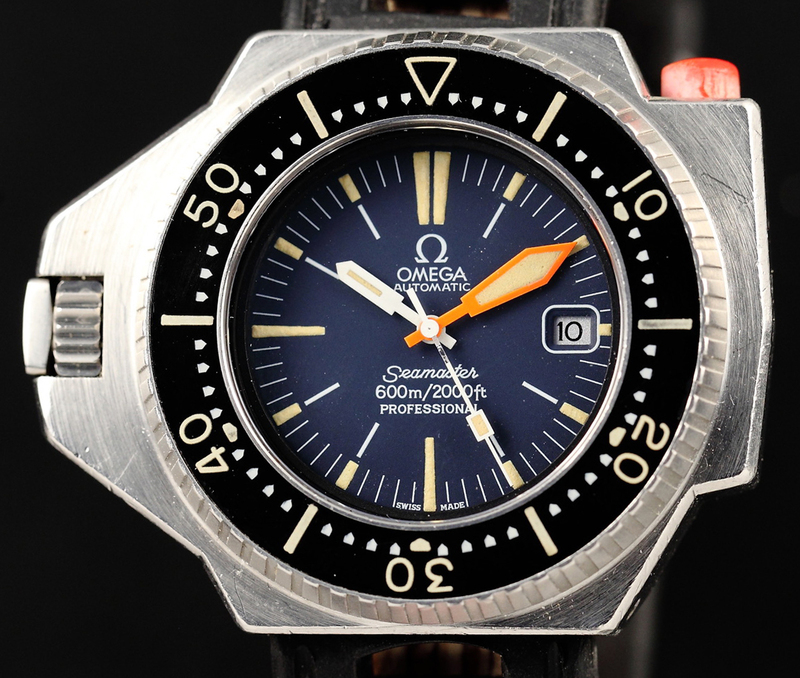 This has given rise to over 60% of sampled watches having undergone a movement swap. 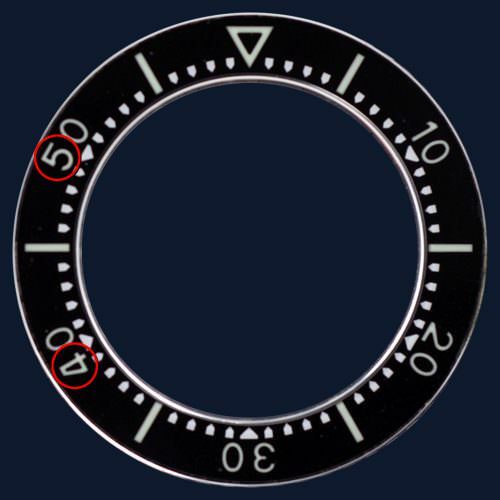 The first two watches in the row above have been wrongly assembled. They cannot be operated single-handed in this format. This appears to be an example of the black dial version. Thank you to Old Omegas for their catalogue contributions. 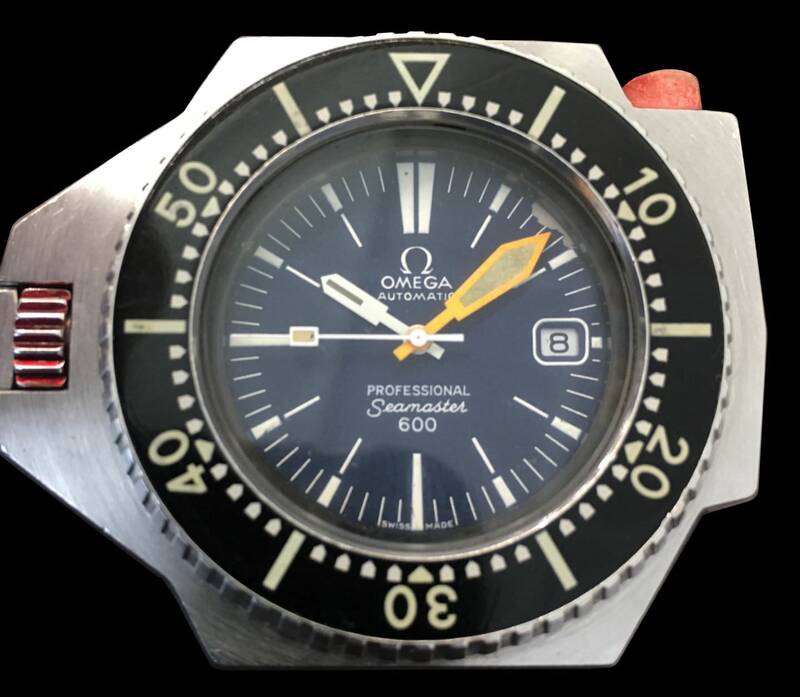 The photograph above was very kindly provided by Jan V. and is incredibly interesting as it shows an extremely rare photograph of the proposed titanium version of the 600. 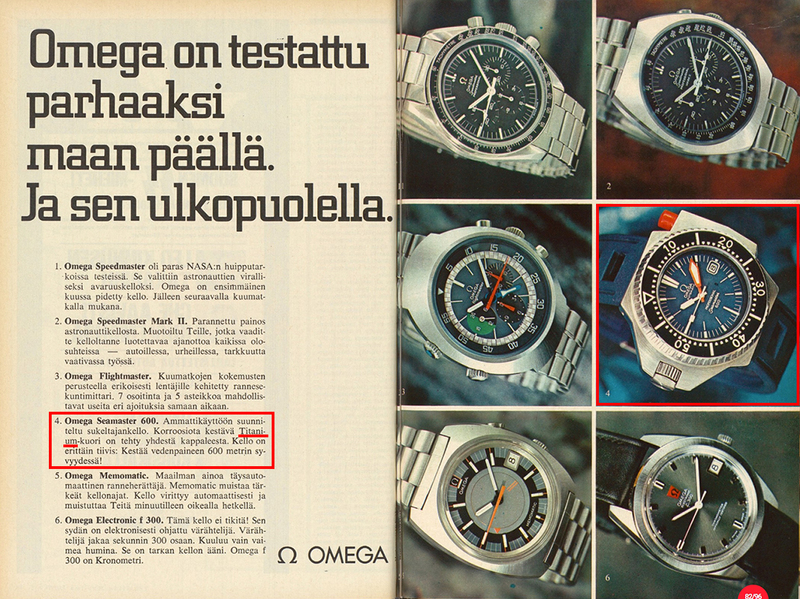 This appeared in adverts in separate dive magazines in Finland. 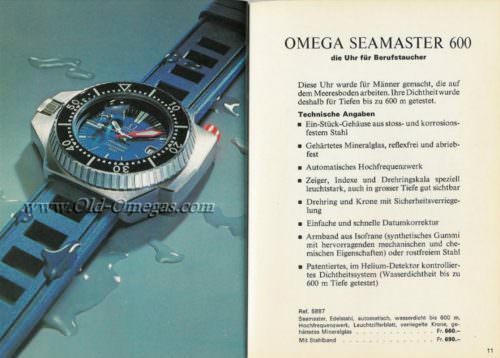 The catalogues after 1971 where merely representational and not accurate pictures of available watches. 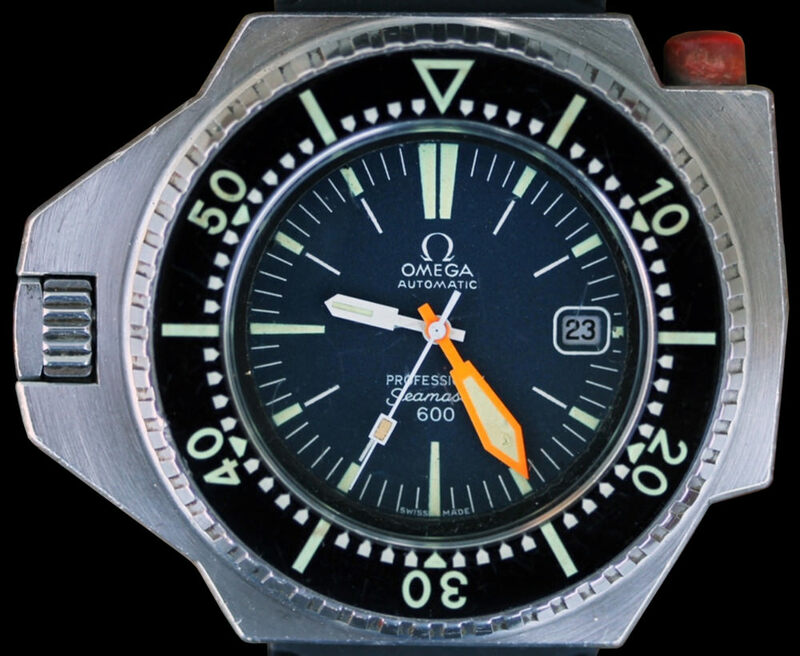 The MARK 1 1st edition came out in January 1971 and the watch lasted for approximately 6 or 7 years. 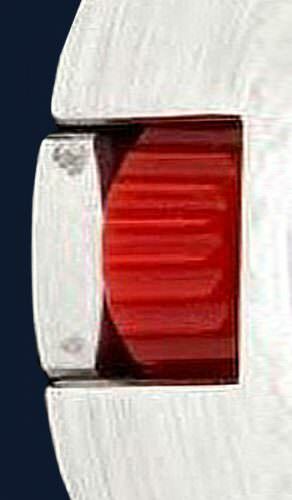 More detail will be provided in an upcoming book. Movement number ranges are in batches are not contiguous. 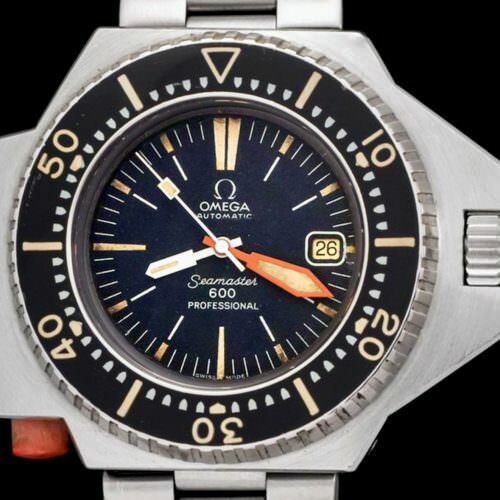 Historic values have been skewed by bad research where people have paid higher prices for watches they believe to be early versions. 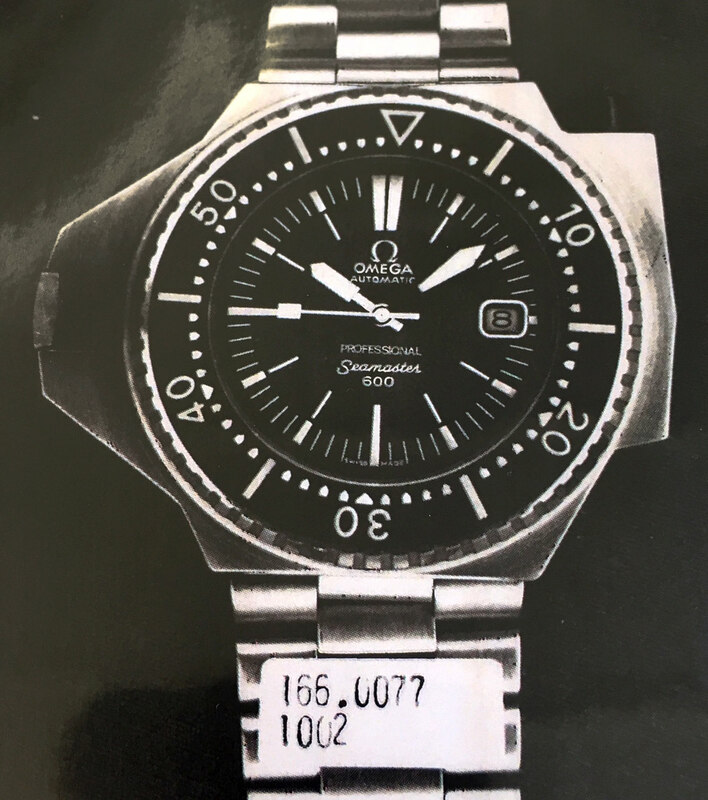 A watch in good condition with the correct papers or confirmed by archives is worth a premium of at least 20% higher than a regular watch Prototypes are worth £20,000 to £50,000 as confirmed by recent prices. The prices below are relevant to watches in excellent condition, all original, collector quality and fully original with extract. 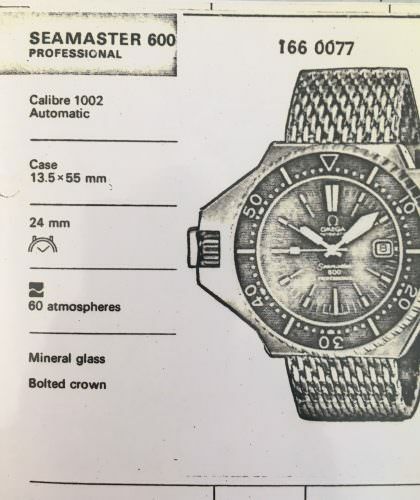 Update (17th Dec 2018): Yet again new prices are confirming that any watch which is pre-production and has an interesting provenance will go for 5-7 times standard values. 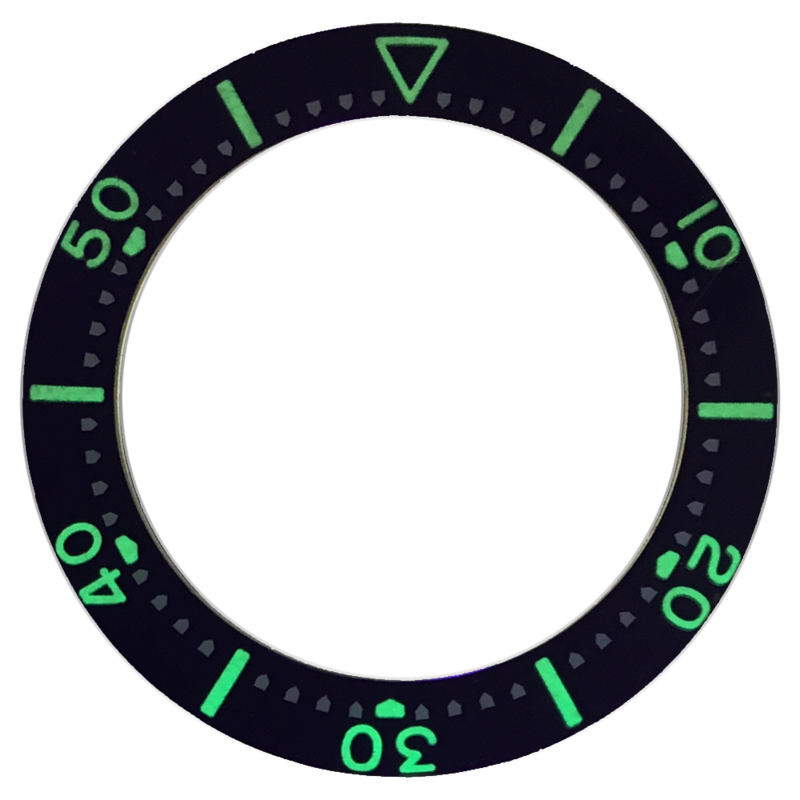 This site will start to correct prices once the market reevaluates the new information now available. 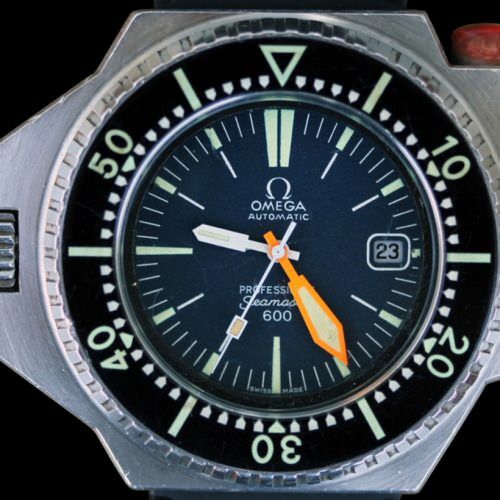 It should be noted that this watch is rarer than most people realise in any original iteration. 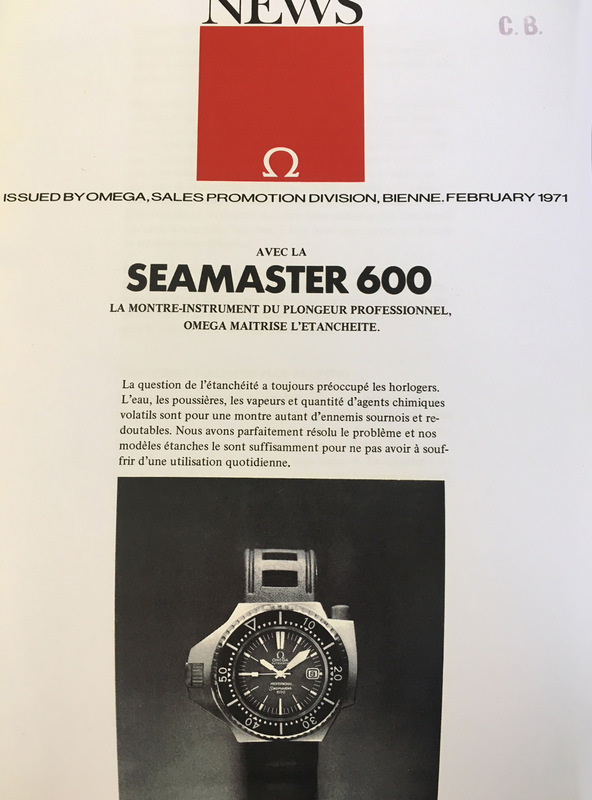 As previously indicated Petros Protopapas has done an incredible amount of work in researching and supporting the important heritage of the Seamaster dive watches and in particular in reference to COMEX. I will be collaborating in the production of this future publication so feel free to contact either myself or Petros with any information that you feel would be helpful. 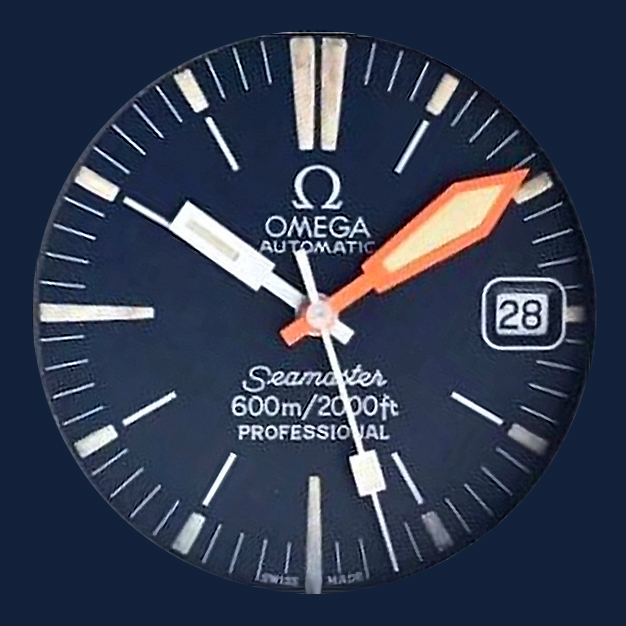 Particular thanks to Petros, Charles and the helpful staff of the Omega Museum. 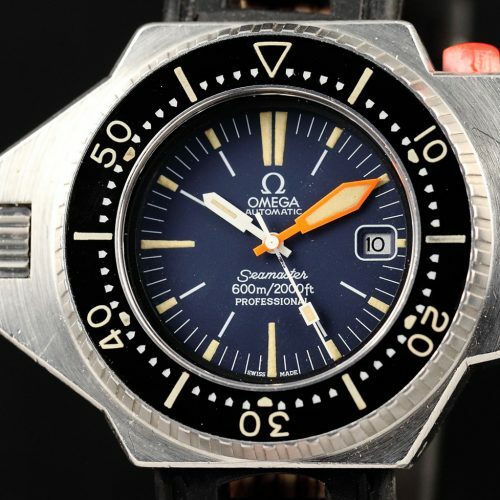 To Merlin the incredibly knowledgeable COMEX Omega collector for the photos of his wonderful watch. 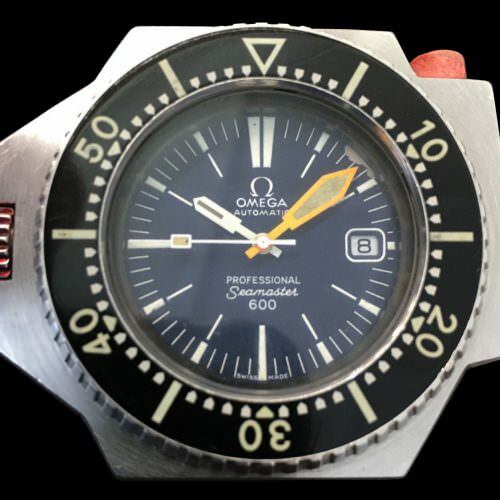 To Maurizio Cozzani @plock33, an enthusiastic and knowledgeable collector who has kindly provided rare prototype images, Hugo the watch-hunter, @horo_logical dive watch expert and finally to @vintagewatchzilla, a very able collaborator, collector and generally acknowledged schnitzel King of Vienna. And of course Adrienne, the incomparable horologist.